Welcome to our " BEST OF BEST DREAM 11 " FOR '' INDIA WOMEN VS BANGLADESH WOMEN T-20 MATCH, dream 11team FOR final T-20 match in Women Asia cup. 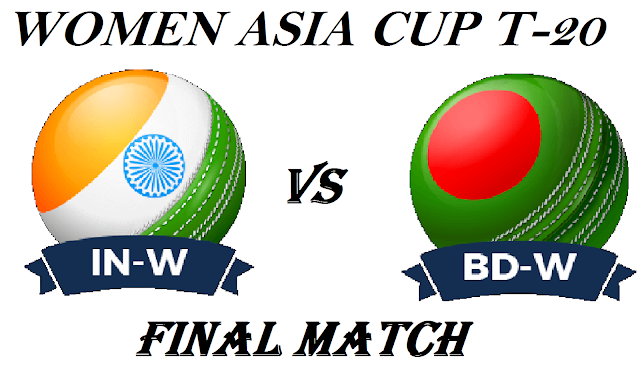 Here is best IND-W VS BD-W dream 11 team for the fantasy user who are looking to make a strong team for maximum win.We are providing latest news ,match update,information about the match. The team is picked by using various factor on the basis of performance .ground stats and latest form. 1-INDIA-W Reached the final of women asia cup for the seventh time in seven edition. 2-BD-W reach in the final for the first time. 3-In league match BD-W defeated IND-W by 7 wicket.